Today’s Columbus, Ohio, Dispatch, includes an article about what happens when a pastor suddenly dies. Jim Augspurger, administrative pastor at the Grace Brethren Church on the north side of Columbus, is quoted regarding the response following of that congregation when David Plaster, then pastor of the church, died in March 2010 after being ill for two months. On Sunday, Grace Brethren Church of Columbus will install a new pastor, the Rev. Mike Yoder, 40, from Chicago. The Westerville church, which has Sunday attendance of about 2,400, lost its former pastor in March 2010. The Rev. Dave Plaster, 60, died from a neurological disease after feeling ill for only about two months. The church took some time to grieve and put together a team of seven associate pastors to cover Plaster’s preaching duties, said the Rev. 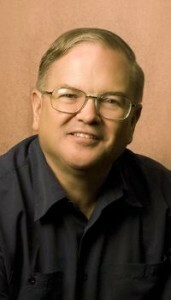 Jim Augspurger, executive pastor. He took over much of Plaster’s administrative responsibilities. “The nice thing about a larger church is there are lots of people to pick up the different areas and the different aspects of the ministry that Dave did,” Augspurger said. Ed & I would like to say an extra thank you for all that the pastors did in the last year, you all held everything together in a very difficult year. Thank you for that!! Now we are looking forward to a very exciting time with our new pastor!! Sunday was so thrilling, the Lord was surely in our service!! !